The Traders League Simulations is based on your virtual portfolio performance over the game duration. Join a simulation under the 'Traders' tab in the 'Earn' lobby. For simulations needing a Premium or Pro account, click here for more information on upgrading your account. 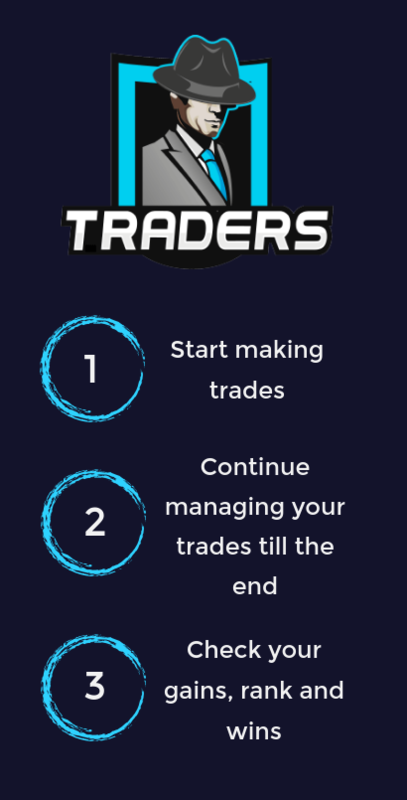 Once you've joined, begin executing trades in the Trade Lobby. Remember, your rank will be determined based on how your virtual portfolio has performed from the point you join the simulation. In order to win prizes, you'll need to perform better than 50% of players in the contest and one of the top ranks in the leaderboard. When the simulation concludes, your final rank will be based on your virtual portfolio gain percentage. You will be awarded prizes according to the reward structure for that particular simulation/contest. 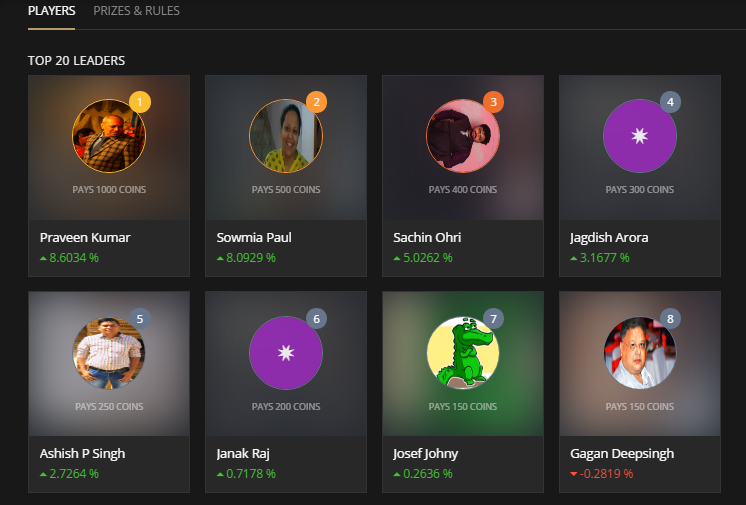 Priya gets a Pro account and joins the Tuesday Traders League simulation in the 'Earn' Lobby but continues practicing in the Trade Lobby. She knows that although she is placing trades before the simulation commences, these will not count towards her simulation performance. When the simulation begins on Tuesday morning, Priya executes 5 trades immediately, and continues executing trades until Tuesday evening. At the end of the simulation duration (I.e. 11.59pm Tuesday night), Priya's virtual portfolio has grown by 1.8%. This places her in third spot, and she is eligible for the prize relevant to her rank as described in the 'Prizes and Rules' section of that simulation.